There’s a new Danganronpa coming out soon, and that’s a good thing. The visual novel-style games are some of the best in their genre. This time around, however, the series is taking on the third-person-shooter genre, and the results are impressive. TAY has obtained exclusive video showcasing the new game in action. This past June in Los Angeles, I was given an all-too-brief preview of Danganronpa Another Episode: Ultra Despair Girls. 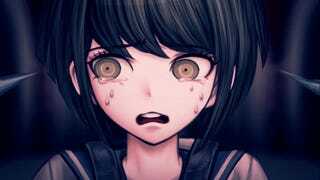 The demo I played was about five minutes long and consisted of controlling Komaru as she tried to escape a derelict hospital. Along the way I encountered several Monokumas; they were slow moving and didn’t pose much of a threat. Still, shooting them down and taking them out one-by-one was fun, but didn’t give me much to write about. 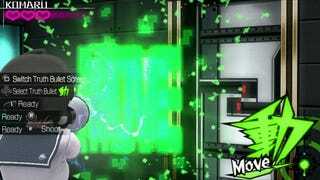 Earlier this week, a new video comprised of what appears to be various parts of the game stitched together was provided exclusively to TAY showing some never before seen parts of the English version of the game. You can see the full video below, or read on to check out some highlights in GIF form. 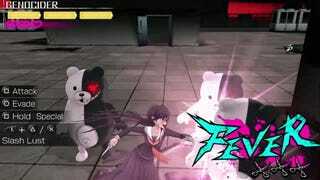 Despite this silliness, Ultra Despair Girls still seems to retain its dark, foreboding atmosphere. 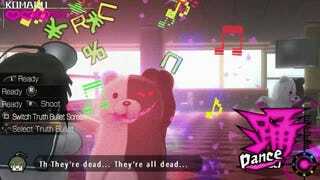 Monokuma may not seem exactly terrifying on his own, but when you realize just much havoc he’s wrought and how many corpses are left in his wake, things start to get a bit creepy. He almost feels like a cuter version of The Joker: He just wants to watch the world burn. Ultra Despair Girls looks like exactly what the series needs to get players that don’t necessarily enjoy the series’ usual visual novel style into the excellent story. We’re just a few weeks out from the game’s September 1st (isn’t some other game coming out that day?) release date. It might be time to dust my Vita off. You’re reading TAY, Kotaku’s community-run blog. TAY is written by and for Kotaku readers like you. We write about games, art, culture and everything in between. Want to write with us? Check out our tutorial here and join in.